Hello, and welcome to Wendy Sorensen Photography! I'm Wendy, the photographer behind the lens at WSP. Whether you found me on a Google search, Facebook, or were referred here by a friend, I'm so glad you stopped by! You probably have some questions about what a session with Wendy Sorensen Photography is like, and you can find all of the details here. I will guide you through the entire experience you'll receive with WSP. I am a full-service natural light photographer located in Urbandale, Iowa, serving the entire Des Moines metro area, including Waukee, Johnston, Grimes, Ankeny, Clive, and West Des Moines. I photograph families, children, high school seniors and newborns, and would love to photograph YOUR family! Photo sessions can be stressful, but they don't have to be. My goal is to make your experience one that is stress-free and fun, and leave you with amazing photographs that you will always treasure. 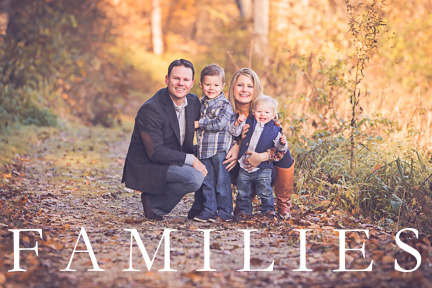 As an Urbandale family photographer, you can probably guess that I love photographing families - kiddos big and small, sweet newborns, proud high school seniors, your fur-kids, and everything that makes family, family! There is such joy in looking back through family photographs - the posed shots, the candid moments capturing your love and affection for one another, silly faces, a mother's tender kiss on her child's forehead, and BIG bear hugs...these are the moments you want to remember forever. We want time to stand still. And it doesn't. But we can capture it. The perfect posed family. The active kids who won't sit still or look at the camera (my boys included!). All of it. Before I take you on a tour of what a session with WSP is like, I'd love the opportunity to show you my work. You will find my Family, Children, Senior, and Newborn galleries below. Just click on the gallery below that piques your interest. Let's get started! Sign up with your name and email address to receive news and updates from Wendy Sorensen Photography!